There is something wonderful during the summer months in Saint Petersburg when the sun does not set in completely. The northern Russian capital is situated so far to the North that literally there is 24-hour natural daylight for weeks. If you are not one of the native residents of Saint Petersburg, the midnight sun from the end of May until the end of July may confuse you – it feels as if time has stopped and the whole city is enchanted. The truth is that the White Nights are the best time for a trip to Saint Petersburg – you will get used to the light very soon, while your senses will be sharpened and ready to take more of the surrounding beauty.If you are not one of the native residents of Saint Petersburg, the midnight sun from the end of May until the end of July may confuse you – it feels as if time has stopped and the whole city is enchanted. Saint Petersburg was founded by Peter the Great, who according to one of the legends, simply said: “Why not build a city!” Many buildings have survived the communist vision about exquisiteness and style and have preserved their Classical and Baroque architecture. The Hermitage Museum, both impressive and a little bit frightening for its size, is here – a guardian of one of the richest art collections in the world. The Mariinsky Theatre, which hosted the opera and ballet premieres of prominent names like Tchaikovsky and Rimsky-Korsakov, is here, too. 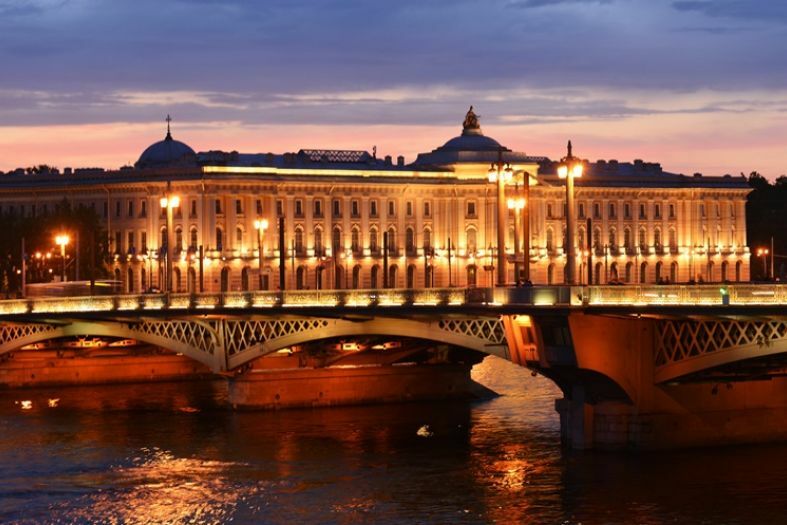 As well as the movable bridges over the Neva River, which are raised every night to open the river traffic before the eyes of thousands of tourists. All these sites come back to life during the White Nights. Both the local residents and the tourists join the tens of concerts, festivals and shows late in the evening or during the night. The Night of the Museums in Saint Petersburg is an experience that is different from any other similar event in another city because of the daylight during the whole “night”. Although the lack of darkness confuses man s biological clock, the truth is that thanks to the high euphoria one feels no fatigue or need of sleep in the first days. Saint Petersburg may be indeed an enchanted city!